Barnsley and Luton drop points in a weekend Sunderland comeback from a goal down at home to Walsall, winning 2-1. The opening period was difficult to watch, with the Lads struggling to string a few passes together after the visitors went ahead within the first five minutes. 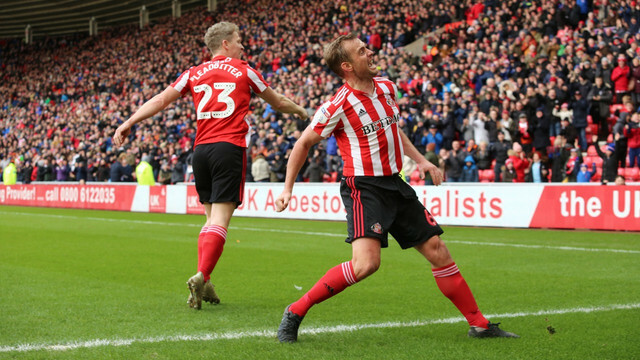 However, goals by Lee Cattermole (again!) and Will Grigg turned the tide. Overall it was a good display and one which keeps automatic promotion 'in our hands'. By the time we play the rescheduled game against Accrington Stanley on 3rd April, we'll have three games in hand. For now though, it's time to rate the players! As always, scroll down, select a rating and leave one of your insightful comments we love to read. We'll try and get a round up article out this evening / tomorrow morning and round up the best ones.